Returning to Unity with the Divine: An interview with Robert Ibrahim Jaffe, M.D. Robert Ibrahim Jaffe, M.D., has dedicated his life to healing and teaching. After many years of traveling and studying healing arts around the world, Dr. Jaffe has discovered the deepest and most profound healing system in the practice of Sufism, a mystical branch of Islam that at its essence belongs to no one religion. It is the Truth, and it leads people to Truth through love and devotion. 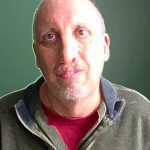 During his training at the University of Illinois College of Medicine, Dr. Jaffe witnessed miraculous healings that occurred after doctors exhausted all of their options. He realized there were secrets to healing beyond the understanding of Western medicine. He traveled worldwide and studied with healers, spiritual masters and shamans — and eventually he discovered Sufi healing. In June 2000, he founded what is now known as the University of Spiritual Healing and Sufism in Napa County, California, to bring his comprehensive synthesis of medical, energetic and spiritual healing to professionals and lay people who want to heal in a complete and holy way by deepening their understanding of why people become sick and what can be done to resolve their illness. He will return to the Twin Cities on October 24-26 to present a soul-focused workshop entitled, “Manifesting Your Brilliance.” Dr. Jaffe will be offering a free one-hour introduction to “Manifesting Your Brilliance” at 7:30 p.m. Central on Wednesday, Oct. 8. To register, go to: http://bit.ly/manifesting-teleclass. 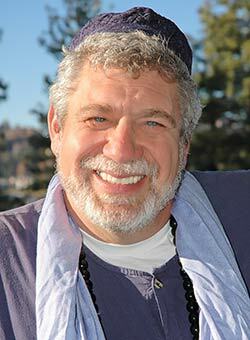 Dr. Jaffe spoke with The Edge by phone from his office in California about his upcoming event, Sufi healing and much more. You’ll be returning to the Twin Cities to present “Manifesting Your Brilliance.” What makes your event different from other transformational gatherings? RIJ: That’s a good question. At the core, the question is: Where is an event taking people to? My events are directed towards sitting in the presence of God and allowing the transformation to happen within God’s presence. So in the first piece, it is a direct experiential relationship to God and the 99 names of God and how that transforms a person at the soul level. It’s extremely transformative — and it’s also different in that we’re not working with more external things, even things like consciousness. We’re working directly with the Divine Light of Self. What can participants expect to experience? RIJ: My work is very soul-related, and I’m working with soul healing and soul transformation through the Divine Light to the Divine Names. Each soul has something brilliant that God has put within it. That’s been my experience across the board. Even people who intellectually might be stunted at some level, inside of them there’s something incredible. Most of the world is based on I.Q. and we don’t really look at the core nature of the person. The brilliance workshop helps us to find your core nature. What is your brilliance? Is it creativity? Is it music? Is it knowledge? Is it spirituality? Is it healing? This process pulls it out of the soul. Once we find out what your brilliance is, then we say, “What does God want you to do with it? What’s your Divine purpose? What have you really been put here for?” Every person is a thread in a tapestry of this creation. Your brilliance is programmed within you, and we bring that out. Of course, most people experience their divine purpose through passion. When you’re in your soul connection, you have incredible passion for life. When you’re doing what’s not right for you, you’re bored. So when you find that core soul purpose and you start to bring it out, now you have a really powerful way of living life. And not only do you have the power of living life, but you also have your spiritual blessings or baraka, because you’re doing what you’re meant to be doing, not what you’re not supposed to be doing. By doing your Divine purpose, you actually increase your spiritual baraka or grace. The more baraka we build up in our life, the more blessings we build up, the more we spiritually evolve. We’re doing what God wants us to do. The doors open and we spiritually evolve and we move towards the state of unity with Divinity, which is really our full reason for being here anyway. We’re all here to reach that. That’s what we’re here doing. So, when people leave the 2-day event, they have an action plan on how to expand and develop the gift that they’ve uncovered for themselves? RIJ: Local healers in the Minneapolis area will do some ongoing work (with participants), and I’ll be videoconferencing, as well. That will continue for about seven or eight weeks. After that, we will work with the people to really integrate each of the qualities that we work with. The way the weekend will work is that I’ll present this information and teach people how to get to their Divine purpose. That’s an unfolding process, then we’ll look at the 99 qualities of God. For example, there is a quality called Al-Kabir, insh’Allah, which means vastness or bigness. If God sends this quality, it opens people to much larger creation. We’re afraid, for whatever reasons; we have beliefs and images and blockages that keep us limited. Al-Kabir, insh’Allah opens it by literally sending the light of bigness into the person — and that transmission has to occur and it will. The other side of it is: What’s in the way? What has to be purified out? What are the places inside of ourself where we are afraid? Did we get hurt by our father or mother? Maybe we were trying to do well in school, but we only got a B on our report card. Our parents got mad at us so we’re afraid, and we’re not believing in ourselves anymore. How do we clear those things in ourself so Kabir, insh’Allah can manifest itself through each person? A lot of people go to events and enjoy being the energy, but they don’t always follow through afterwards. I think it’s great if people can receive the support that you’re giving them afterward to continue the process. RIJ: We said this exactly. People come in, they sit in it, they go home and they forget about it. I think that’s classic spirituality in the West. When I designed the university, I read an article Ram Dass had written back in the 1970s about bringing teachings back from India, and he found exactly what we’re talking about. So what he did was create a series of gatherings multiple times in the year that helped you to not lose the inspiration to continue practicing. That’s the same principle I’m working with. I call it pulsing. How do we pulse it enough that they don’t lose the stream? When we’re uplifting ourselves, it is important to make sure that the body maintains the higher frequency, instead of putting up new blocks and going back to where we were. RIJ: Exactly. I used to kite surf and when I was learning kite surfing in Maui, which is one of the best places in the world to kite surf, I was just getting battered out there. I was learning. I was on the kite surf beach and the waves were coming in and they were just knocking me all over. By the time I would get done each day, part of me was better at kite surfing, but part of me was actually more scared. Later I learned in this little bay where it was like 3- to 4-feet deep. I could stand up, there was much less wind, and within an hour I was standing up, and within two hours I was surfing beautifully. But I had spent a week in Maui and I had trouble still getting up. As the founder of what is now known as the University of Spiritual Healing and Sufism, what fundamental transformation does the school offer its students and what changes have you witnessed in people who have gone through the program? RIJ: The university meets three times a year for eight days, and then there are teleconferences or video classes in between those sessions. The goal of the university has three pillars to it. The first pillar is walking people towards their Divine nature, towards, God, and Sufism. Sufi means to purify or to annihilate, so one purifies out the illusions, the negative emotional states, the beliefs, whatever blocks them from receiving the Divine light and the Divine love, and then as those purifications happen they go deeper. In the Sufi school, we have found a little of what we’ve said about traditional Western spirituality, that we’re not going deep enough. Students begin to walk, but then they hit fear or some sort of belief or blockage — and then aren’t able to go further and they drop out. So the university has been designed to not allow that to happen. We’re holding the people very deeply, and when they hit the blockages, which are very deep in the unconscious, they are held by their group and by their teachers very consciously and they walk through those hidden places that have limited them their whole lives. The results of that are that the people move very quickly through the program and the spiritual experience. From what people in the programs are telling us, they have reached a level of growth more within one year than they may have reached within 20 or 30 years previously. They’re spiritually moving very quickly. The second pillar is the purification work itself. How do we really transform light or issues? In the purification work, we are working very, very deeply within the heart to find the core issues that are behind everything. For example, let’s say that somebody comes in with cancer. A lot of people come through our program with diseases. In traditional work they might say, “What’s the cause of the cancer?” And the person would get to issues of, let’s say, breast cancer, so they’d address not feeling loved. The first level, of course, would be to process through the issue of not feeling loved. But if you go deeper into the soul levels, the reason they may not be feeling loved is actually because there is some hidden element in their being where they are choosing power over love. So, what we say is that you’re choosing to try to manifest something like Al-Qawi, the quality of divine power, versus Al-Wadud, the quality of Divine love. So, when we understand that it’s really a misunderstanding of the soul nature and the qualities it is taking on, then we go into what’s really the teaching for this soul. The teaching is to purify the need for power and to surrender to the need for love. And, when they understand that and actually shift that, then it’s unbelievable the shift that happens. It trickles down, and the outside changes very, very quickly. In this last workshop I did in Sedona, after four days a woman’s tumor totally changed and regressed significantly. Even after the second day it had regressed significantly. And then there’s a third pillar? RIJ: The third pillar is actions, what I call right action or Divine actions. There are significantly prescribed actions that Divinity wants from us. For example, if an old lady is crossing the street and we help her across, there is a blessing for that and we feel good in our hearts because we did the right thing. If we don’t help her across the street, ignore her or get in the way or push her or something, there is actually a non-blessing for that and we feel bad about ourselves. You could say that there’s a negative baraka, a negative blessing. These things are like gravity. They’re not in our command. When we know which actions bring baraka and we follow those actions, we build up spiritual grace, and the whole process moves forward much more quickly. By the same token, we learn what not to do. For example, we learn that gossiping is a negative baraka. If you gossip or you put people down or you speak behind their backs, those are very powerful, negative barakas. If we do those things, we break our grace and we actually have to work at alleviating what we’ve done — and we slow our whole process down. Needless to say, the whole program is transformational if you commit to it. RIJ: The core of everything we do comes back to that. There is a saying, “There’s no God but the One.” It’s knowing that all life is about an expression of Divinity and the return of the being back to that oneness with it. Everything we’re doing is about that return. How do we help a person literally get out of their own way so that they can experience the beauty of what’s possible? What essential truth have you learned about illness and healing in your experience as a medical doctor and a student of Sufism? RIJ: Healing is very simple and illness is very simple. Illness, in my experience, is always sent as a teaching — and if you get the teaching, usually the illness goes away. The key is working out why the illness is there, and the teachings are at the deepest level — the teachings of the self: the ego-self, and what it’s learning, the heart, and what it’s learning, the mind, and what it’s learning, and ultimately of the soul. If we can get those four teachings and the person can learn them, I’ve seen stage 4 cancer regress multiple times with this work. Why? Because people have understood why the disease was sent. So, what are the teachings? The self-teachings are essentially what we should not be doing that we are doing, such as gossiping. If we are gossiping heavily and hurting people, that can create problems with the throat. The heart teachings are the emotional states that we should have, which should be peace and love. If they’re anger and fear and resentment and bitterness, that will lead to negative states within the body. The soul teachings are essentially about the qualities of human existence. Let’s look at breast cancer. It’s about receiving the milk of love from Divinity and being able to give that milk to others. It’s both a receiving and a giving. If we block the receiving, we can get cancer. If we don’t give the milk, we can get cancer. But why would a person block or receive the giving of milk? Well, that becomes the real question — and that’s where the healing is. A woman I know who had breast cancer, found out that she blocked it because she was angry for not getting what she wanted, so she started to withhold love from others. Once she understood that, she started giving the love. She surrendered. She bowed down to God and said, “My Lord, I’m so sorry. I’ve been selfish. I’ve been angry. I’ve separated myself and now I prostrate myself to You and I open my heart and I’m going to give the love.” In six weeks, the stage 4 cancer disappeared. Surgeons went in for a double mastectomy, took off the breasts, both of them, and when they went in for the pathology there was no cancer. The cancer had completed disappeared. So the key piece is getting those teachings. What is your perception of health care as it is now practiced in this country? RIJ: From an outside level, we’re further along than we’ve ever been as physicians. The use of technology and the algorithms they’re using for medical care are the best it’s ever been. Medical care has taken quantum leaps in the last 20 years. From the inside level, we’re just starting to understand the real causes of diseases and people are just beginning to be open to them. We’re seeing that with alternative medicine coming online and growing and people are starting to open to food and herbs. I go into Whole Foods and I see people there who, 15 years ago, would never have walked around in the Whole Foods. The consciousness is changing towards foods and herbs. But the real teaching, which is the spiritual nature, is just starting. It’s just dawning in the West. We’re just beginning to understand that disease is not just coming for no reason, which is what allopathic medicine says. We don’t even know why it comes. Food or bad food? That’s what alternative medicine is saying frequently. We are what we eat, which is true without question, but there’s always that inner spiritual side that we have to address simultaneously. That’s the next big vista for medicine. Do you think that piece will come forward? RIJ: I do. I think it’s happening. There’s going to be a fight, as always, with the conservative side, which is going to try to hold on to the materialism, as it always does. But young people today are very conscious. People are realizing that these old systems don’t work anymore and they have to be let go. We see that with the whole green movement. Fifteen years ago, nobody was green. If you mentioned green, everybody thought something was wrong with you. Today, everybody is talking about it — and it’s only 15 or 20 years later. I think we’re going to see the same thing in medicine. But there will be a fight, as always. Since 9/11, the religion of Islam has been tarnished by fundamentalists who use war as a means to advance their beliefs. How do followers of Sufism perceive what is taking place globally, not only in the war areas, but in America where Islam is being condemned by some people? RIJ: That’s a very good question. The teachings of Islamic fundamentalism have made the front pages and, first of all, it’s unfortunate, because it’s a very, very small part of Islam that is fundamentalist. Maybe half a percent, or less. It’s unfortunate that sometimes the people who shout the loudest are the ones that are heard, you know? If you go to the Middle East, where I’ve spent time, there are tremendously beautiful people over there. I have met them, and I’ve had my heart in tears because there’s been so much beauty from these people. In the real teachings of Islam and Sufism, it’s been very clear that you would never hurt an innocent person and you would never attack innocent people. These are absolutely non-Islamic teachings. That’s why I say yes, you are to stand up to oppression, if oppression occurs, or evil if it comes into your house. You’re supposed to stand up to it, but you don’t stand up to it by blowing up a bunch of innocent people. That doesn’t do anything except scare people, which is what they’re trying to do. The teachings of Sufism are about love. You do stand up to oppression, but you stand up to it through love, through peace, through understanding, through honor, through nobility — and you never hurt somebody. Absolutely never hurt somebody. What we’re seeing now is not, in my opinion, revealing the face of Sufism, and I don’t believe it is revealing the true face of Islam itself. Sometimes I just wonder if there is going to be a movement by the 99.5 percent of other Islam followers against what is being done, in terms of a global statement. RIJ: That’s a really good question. I think that is something that needs to happen, but I don’t think there’s enough unification in Islam itself at this point to do it. It may happen at some point, but it may be down the road a little bit. It will come when Islam unifies. Islam has been broken into so many pieces, by geography and the fall of the Ottoman Empire and everything else, that they are barely talking to each other. Tell me about your experience with the Sufi community in the Twin Cities. RIJ: I love the Sufi community in the Twin Cities. First of all, the Twin Cities is what I call a place of goodness in the U.S. It’s a place that somehow has maintained goodness within all the struggle. We have multiple Sufi communities, and I have found that Minneapolis and Austin have maintained it the most. There is just a natural light up there, which I love, and the Sufi community there reflects it. It is a very honest, very open, very bright group of people who are deeply in service to the people. They want to seek goodness, they want to seek change, but they’re doing it from a place of love and respect and honor — and I think it’s a great group up there. I deeply value and respect that community. You’ve devoted your life to promoting peace. How is true peace achieved? Is it ultimately one soul at a time? RIJ: There’s an old saying, “Why would you send people of war to try to bring peace.” If you look at most of the peace processes that are going on around the country, it is actually the war mongers who are directing them. So if you want to bring peace, the first thing is you have to find people who have found peace inside of themselves and understand what it means to have peace. They’ve ended the war within themselves. Those people will know how to bring peace on the outside. Is there anything that you’d like to share with our readers that we haven’t talked about? RIJ: I think I want to emphasize that everybody is suffering deep down. Today, there’s a sense of being lost, not having guidance, not knowing what’s right, and just a general sense of stuckness that’s happening in the West right now. The answer I’m personally bringing forward is if we can open to these 99 names of God and open to having this direct connection in our hearts — and surrender, not just a connection, but a surrendering guidance — then this will break through those stuck places that we’re all experiencing. Then the flowers will grow again. I don’t know if you were watching TV a few weeks ago, but there was a big fire in California. My home was right at the epicenter of that. It went right through my home, and believe it or not, my home survived it. So I’m sitting now in Napa Valley and everything I’m looking at is burned black: the black trees, black ground. There is nothing but blackness everywhere from the burn. And yet, all of a sudden out of nowhere, you can’t believe it, there are these little sprouts of green. The trees are sending up roots again, and these little flowers are starting to show up. It’s like this whole new creation is happening, out of nothing. For me, that’s what Sufism does with this sort of barrenness and this blackness that we have fallen into, because we’re living from our own beings, rather than living from a higher purpose. That’s what I think we can bring people and we should be bringing to people. Dr. Jaffe will return to the Twin Cities on October 24-26 to present a soul-focused workshop entitled, “Manifesting Your Brilliance.” He will be offering a free one-hour introduction to “Manifesting Your Brilliance” at 7:30 p.m. Central on Wednesday, Oct. 8. To register, go to: http://bit.ly/manifesting-teleclass.